The most obvious issue for waterpark operations is the weather. With many of these attractions only opening for 100 or so days a year, and with 40-50 per cent of annual visits coming during their busiest month, just a couple of weeks of bad weather in the peak summer period can wipe out any potential profits. This has led to waterparks in more northerly climes being developed indoors, however, that hasn’t always been a wise move. While an indoor waterpark can open all year round, demand is still stronger in the summer months than in the winter. Opening all year also requires significantly more staffing, heating and other operational costs than a seasonal business and there are few free-standing indoor waterparks that can operate without some form of financial support. In many countries, this support often comes from the public sector. The opening of Universal’s Volcano Bay waterpark in Orlando was the big news of 2017. The immersive waterpark experience attracted 1.5 million guests in its first year to complement the ever-increasing visitor volumes at the company’s other two Orlando theme parks. There have been other new park developments around the world, many of these opening in Asia. China is now home to the world’s most visited waterpark, Chimelong Waterpark in Guangzhou, which attracted 2.7 million visits in 2017. We discovered that waterparks built near to theme parks are typically able to achieve attendance levels of between 10-20 per cent of the associated theme park visitor numbers, and often the admission prices for the waterpark are not far below those of the theme park. This is a significant additional volume of visitors and revenues that can make a major contribution to the finances of a resort. As with theme parks, there’s a need for waterparks to invest regularly in their rides and activities to keep visitors returning, and there have been some exciting advances in waterpark rides in recent years. 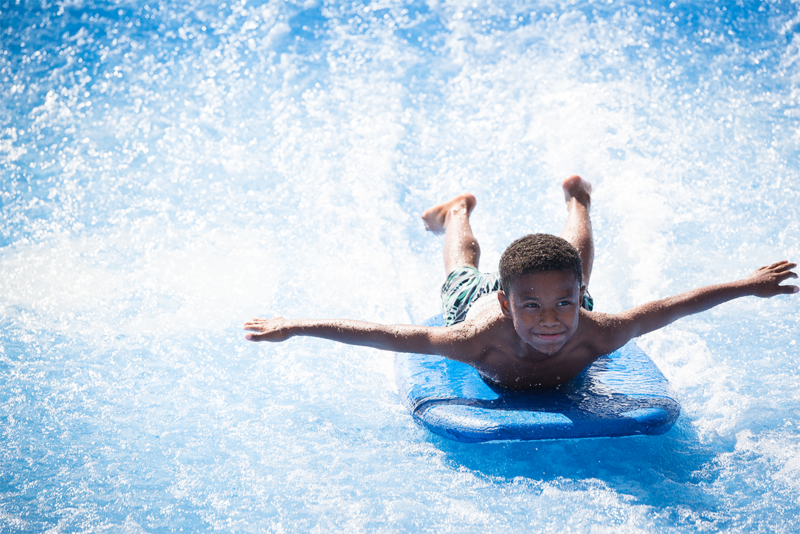 Surfing technology has also rapidly improved through the years, with a range of different rides now available that allow guests to safely experience the thrill of surfing within either a waterpark environment or on a surfing lagoon. While the world is becoming ever more digital and virtual, family water play still has a refreshingly enduring appeal. This, combined with the exciting new rides and attractions that are being developed each year, will serve to continue the industry well and drive more developments in the future.